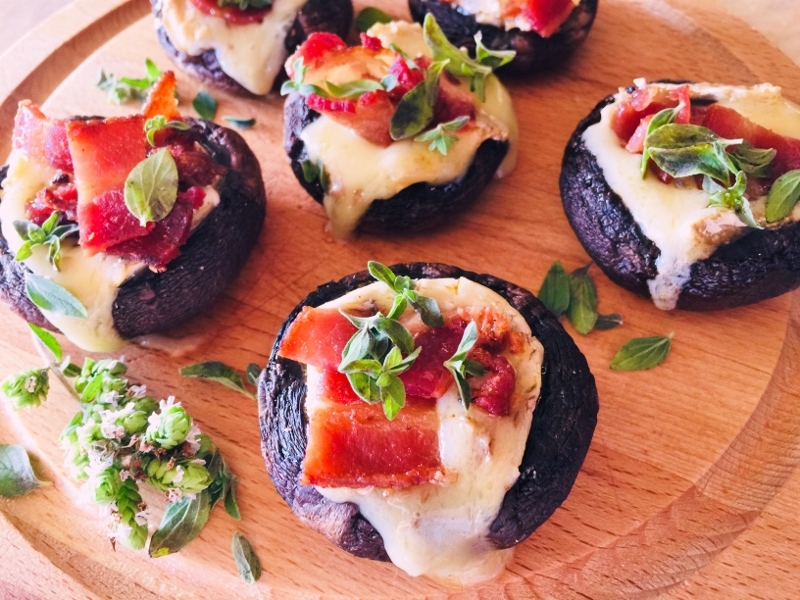 Brie & Bacon Stuffed Mushrooms - Recipe! - Live. Love. Laugh. Food. 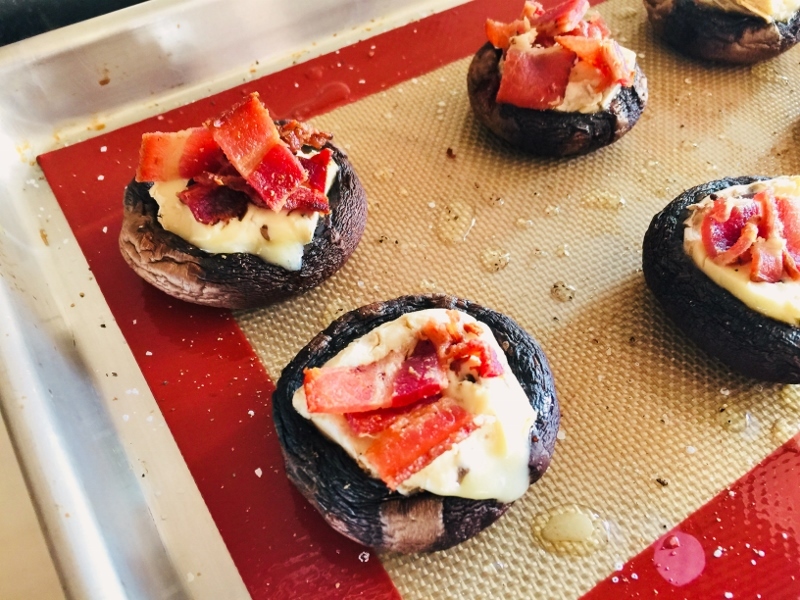 Brie & Bacon Stuffed Mushrooms – Recipe! Stuffed Mushrooms are one of those things that never go out of fashion. The earthy mushrooms combined with a soft, and sometimes creamy filling seems to work its magic at parties, or as a starter before a good meal. 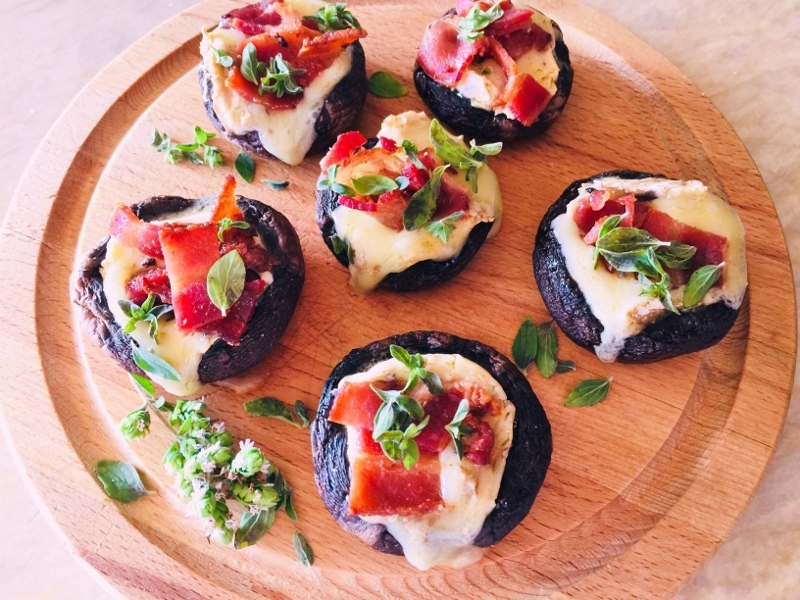 You can be marvelously creative with mushrooms – they are a versatile vehicle to encapsulate the most interesting ingredients. Mushrooms vary in flavor and texture and they all have a special place in cooking. 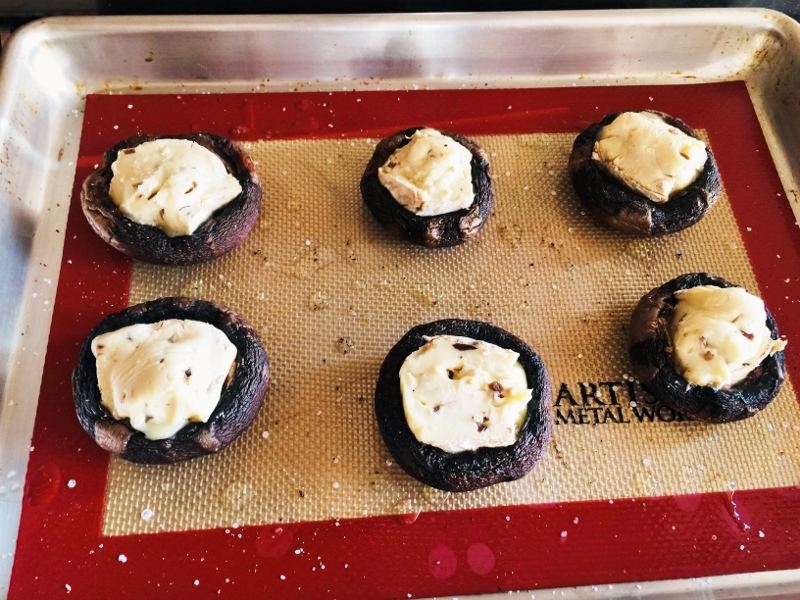 I prefer to use baby Portobello Mushrooms in this recipe because they are meatier and can hold up when stuffed, and roasted in the oven. 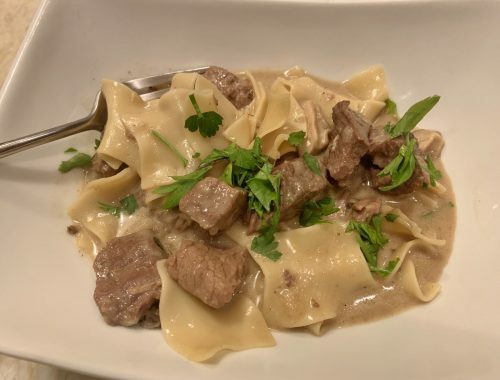 Their pleasantness comes across on your palate like a mushroom stroganoff – creamy and delicate, but with a bit more concentrated taste. Start with roasting the mushrooms first – it releases some water, allowing a slightly more intense flavor. Filling and baking the schrooms is a quick process – stuff with the creaminess Brie you can find, and some cooked bacon. I like to top them off with fresh oregano – it adds an herby component that’s nice. 1. Preheat oven to 400 degrees. Wipe mushrooms with a clean cloth and remove stem from center. 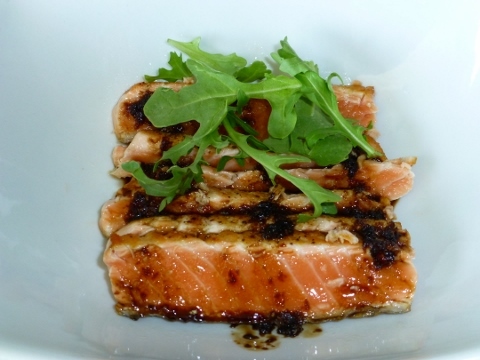 Place on a sheet pan and drizzle with olive oil. Sprinkle with salt and pepper and roast in the oven for 10 minutes. Remove and let cool for 5 minutes. 2. 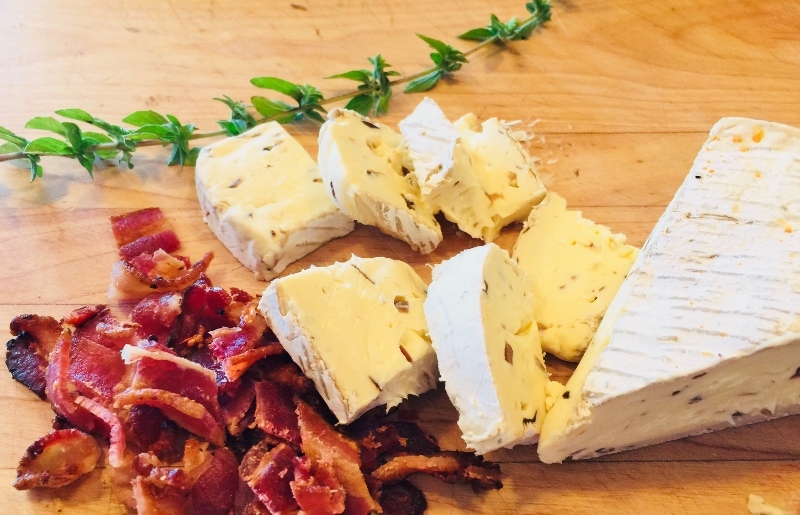 Slice brie into 1-inch pieces and stuff into center of each mushroom. Place 3-4 pieces of bacon on top and press to adhere. 3. Bake in oven for 6-8 minutes, or until cheese is melted. Remove and top with oregano leaves. Serve immediately. Enjoy! 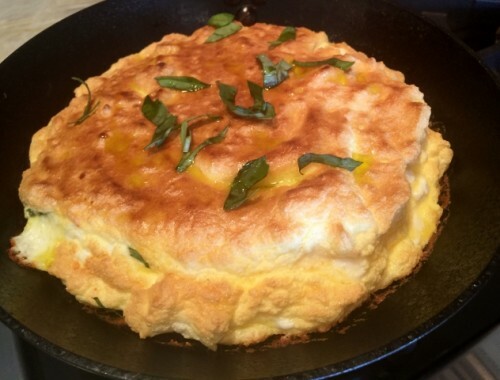 Souffle Omelette with Feta & Basil – Recipe!